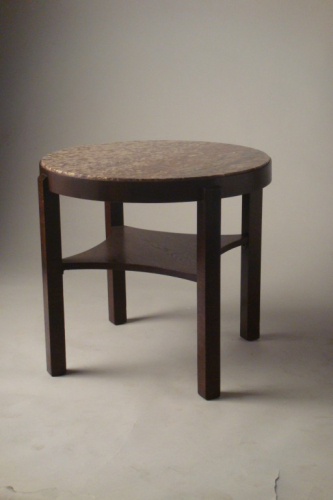 A simple, elegant occaisonal table of stained Oak. The top inset with a beautifully figured red veined marble. In very good condition. Art Deco, c1930.